Another windy race in prospect. 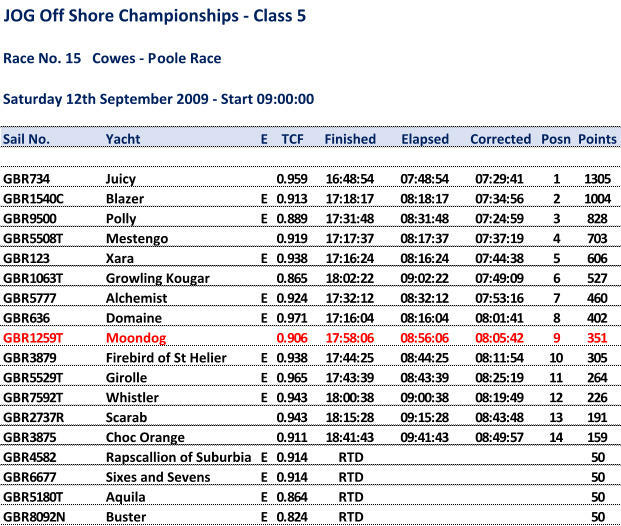 Good start as usual and beat all the way to Bembridge. Not too bad when it was just sheets eased but lost out as it tighten up. Spinnaker up once round the buoy and headed for the inshore route. Wind picked up once past St Cats and managed to get the spinnaker inside the forestay at one point before we dropped the big one and put up the chicken shute. Broached out some more and shook a sheet loose at one point before getting close to the finish where we went into a hole. The wind picked up for the final stretch into the finish but not a good result.